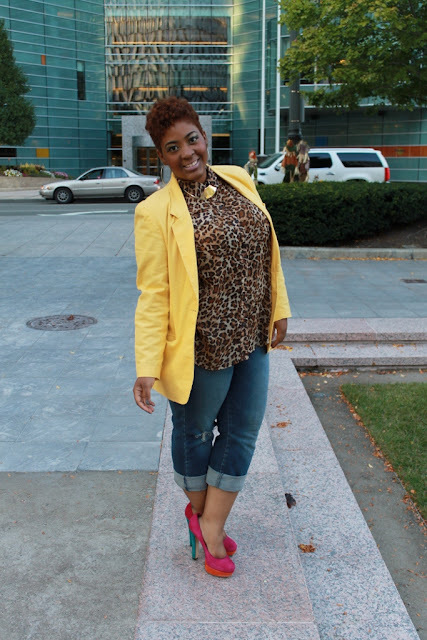 This week's Fabuless Thrifter is Inez of Style Chic 360. Based in Detroit, Inez shares her passion for fashion by inspiring her readers to mix resale and retail pieces to create very stylish and thrifty outfits. Especially this featured outfit which is less than $30. 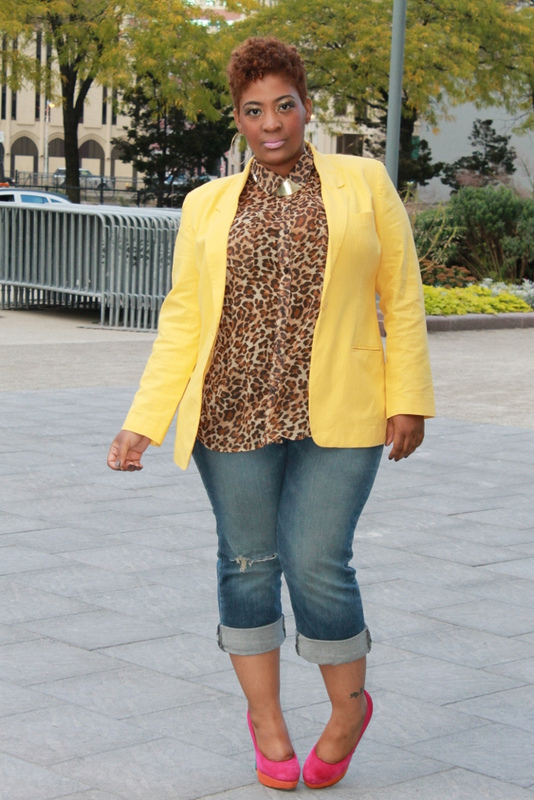 "I knew pairing the blazer with the animal print would really pop," she said. "I tried to create a fun eclectic outfit...and I loved the way it turned out." Where is your favorite place to thrift? I love thrifting at Value World, I always seem to find something whenever I go. How long have you been thrifting? I have been thrifting for a little over a year and half. What's the most exciting thing about thrift shopping? For me it's definitely the hunt, you never know what you'll find while thrifting and that is the best part...finding those hidden treasures. What's your most "fabuless" find? There are so many…hmmm, lets see. I did thrift an authentic vintage dress with the Int'l Ladies Garment Workers Union (ILGWU) tag, I was pretty excited about that one! Which reminds me, I need to wear it! It was a great find for less than $5. What do you think about her Fabuless Look? Be sure to connect with Style 360 on Facebook and follow her on Twitter & Instagram too. awesome Inez! Great interview! And to only be thrifting for a year, wow! I love your style, very chic and classy but your gives you that powerful edge! I cant believe you got that blouse for 6 dollars! Oh wow, great heels! And that yellow jacket is so awesome! Yes thrifting for jeans should be an adventure all it's own! !